June 4-7 - Last chance to attend an in-person Institute in 2012! LERN's Summer Institutes are recognized internationally as the best training in the field of continuing education and lifelong learning. 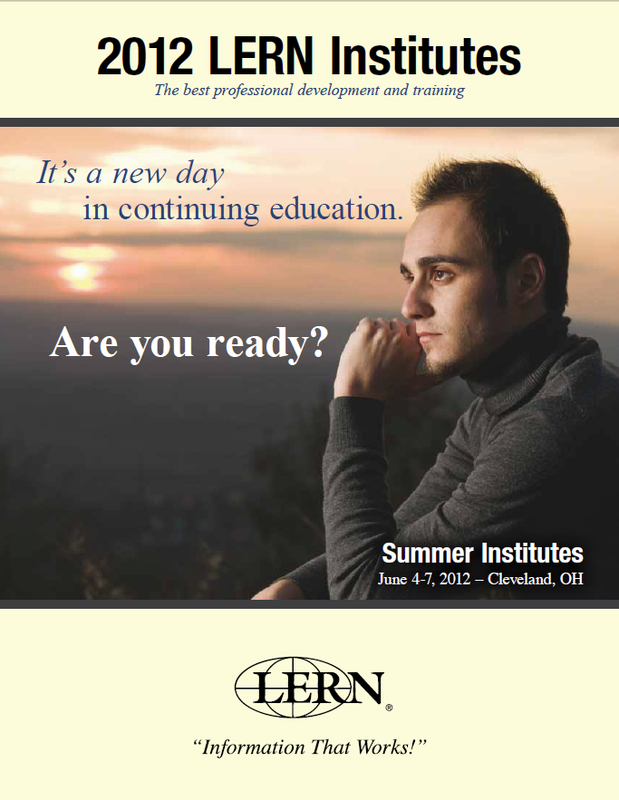 This June's Institutes in-person event in Cleveland is your last opportunity to attend a face-to-face Institute until 2013! Our environment is more co mpetitive than ever. There are increasing fiscal demands, new management challenges, more organizations becoming competitors, and shifts in learner demands. 1. You deserve academic preparation for your daily work. Until the LERN Institutes, there had not been education to prepare you to do marketing, budgeting, program planning - your daily work. Now there is the professional development you need and deserve. 2. The field is getting very competitive and sophisticated. To remain relevant and successful, our members and customers want more advanced education. At our Institutes, you'll discover the most current and advanced knowledge systems specific to our field of lifelong learning. By participating in one of our Institutes, you will receive the most advanced information about enhancing your daily work and improving your program.